We're right in the middle of Summer. It is the perfect time to have some friends over to celebrate... maybe try something different than gathering around the grill (even though it is hard to beat... get my grilling ideas here!). 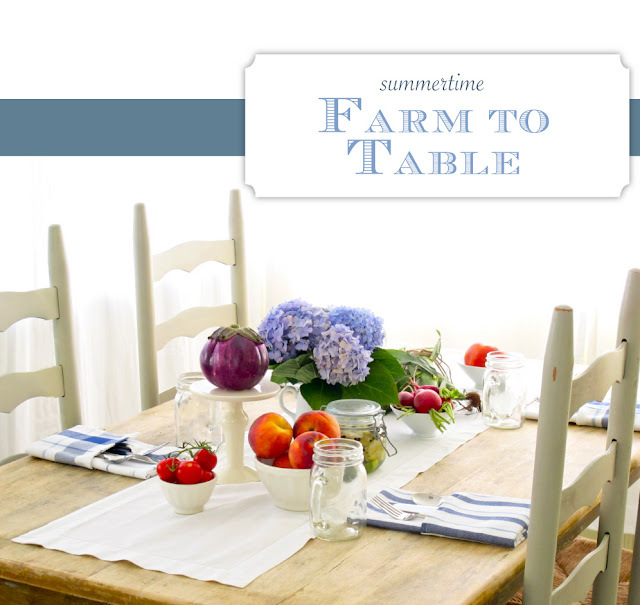 How about gathering around a table displaying the season's best bounty? I designed this menu around staying true to the actual produce by creating simple recipes that let the natural ingredient shine. They don't need much help! Love this table setting! It's so beautiful!